Make sure employees return home safely to their families. Conduct a Job Hazard Analysis. Why are we seeing similar recordable injuries? What is your plan to prevent them from occurring? How can we reduce our incidence rate? Management will raise these questions after a workplace incident has happened, or when reviewing annual financials, and they are not easy to answer. EHS Managers typically lean on the “more training” or “good housekeeping” approach to address workplace safety but these methods tend to be more reactive rather than proactive. A Job Hazardous Analysis or Assessment (JHA) is a very effective tool EHS Managers use to boost employee health and safety awareness and reduce the risk of injury/illness on the job. 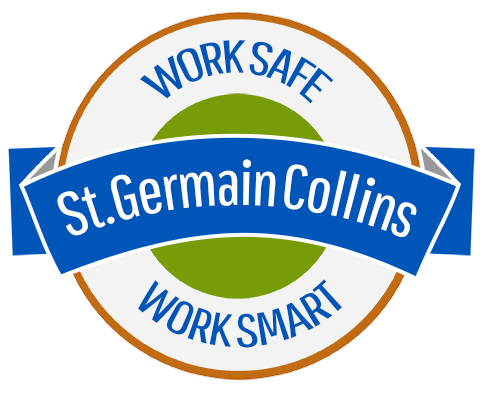 Think about it – how can you be sure employees are safe when all hazards are not identified and the proper controls to prevent them are not in place? 2. Review your facility’s accident history and prioritize the jobs with the highest risk of injury or illness. • For each step, identify the potential hazard(s). • Discuss each job step with the employee to ensure all aspects of the routine are analyzed. 6. Determine the recommended action or procedure for preventing each hazard. 7. Review the JHA with each affected employee and encourage feedback. Explain any modifications to the job that resulted from the JHA. 8. Develop a work site diagram to include with the JHA. A visual representation of the work area aids in determining potential hazards from nearby machinery, location of emergency equipment (eyewash station, emergency shower) and safe egress pathways in the event of an emergency. • When hazardous materials are used, additional due diligence is required. – Review the Safety Data Sheet (SDS) – specifically section #2 and #8 (hazard classification and PPE exposure controls). – If the chemical has been in use before 2012, be sure the revised SDS that conforms with the Global Harmonization System has been obtained. It may identify additional hazards not listed in the previous version. • When exposure to a hazardous material does exist, industrial hygiene monitoring may be necessary to determine the occupational exposure levels (OELs). The monitoring results will dictate the correct PPE if engineering controls cannot reduce the exposure. – Additional training may be required when handling hazardous materials. A thorough, detail-oriented JHA is crucial to protecting the health and safety of your employees. The more effort put in to the JHA process, the lower the risk your employees will face. For any questions about developing and implementing an effective JHA program, contact us at 207-591-7000.